It’s common for college students to spend their spring break somewhere tropical, where they can kick back and take a breather from the rigors of academia. ICYMI (In case you missed it), spring break trips have changed. Instead of having fun in the sun, many of today’s college students are committing to spending their spring and holiday breaks giving back and serving communities that need it the most. Students from Mizzou Alternative Breaks of the University of Missouri (the largest student-led, service learning program in the country), decided to spend their spring break serving immigrant and refugee populations in the Twin Cities. 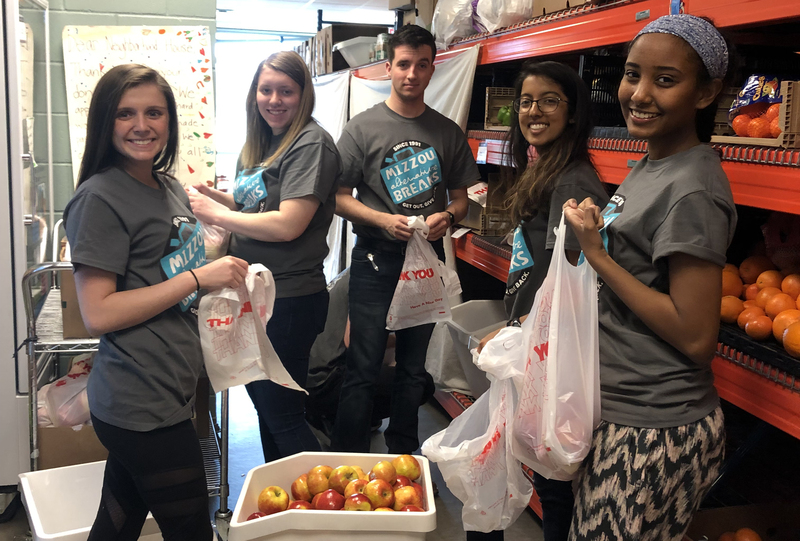 With the desire to “serve, not help,” Sharanya and five additional students from the program traveled seven hours in a rented SUV to Minnesota to volunteer in the Wellstone Center Food Market. Georgi Nguyen, Food Market manager, was thrilled when she heard the students were coming. “It’s super refreshing to see students taking an active stand for immigrants and refugees, which are often the most marginalized and underrepresented communities,” she said. They did, however, have a little bit of fun while they were here. Sharanya said the group visited Minnehaha Falls and went to the Mall of America. It is spring break, after all!